Is the LA Arts District being slapped in the face by Paul Solomon? Isn’t someone that calls himself an arts district developer supposed to be building up the Arts district, not turning it backwards into warehouses? Shouldn’t a developer be helping the area rather then attempting to turn existing artist in residence lofts back to 1920’s status? Turning an AIR back into a warehouse is a big step backwards for the Arts district. And Paul Solomon and his new management company seem to be attempting to actually take that step at 808 E. 3rd St., an artist in residence building since 1996. Paul Solomon is currently in non compliance of an “Order to Comply” issued by the city of Los Angeles on August 24th 2010 with regards the illegal use of his artist in residence building at 808 E. 3rd St . An “Order to Comply” was also issued to the current occupants, Wurstkuche restaurant who are currently misusing the artist in residence unit as a commercial warehouse. Residence in the building have apparently been complaining to building management and the city for over a year now regarding the noisy commercial use that goes late into the night. 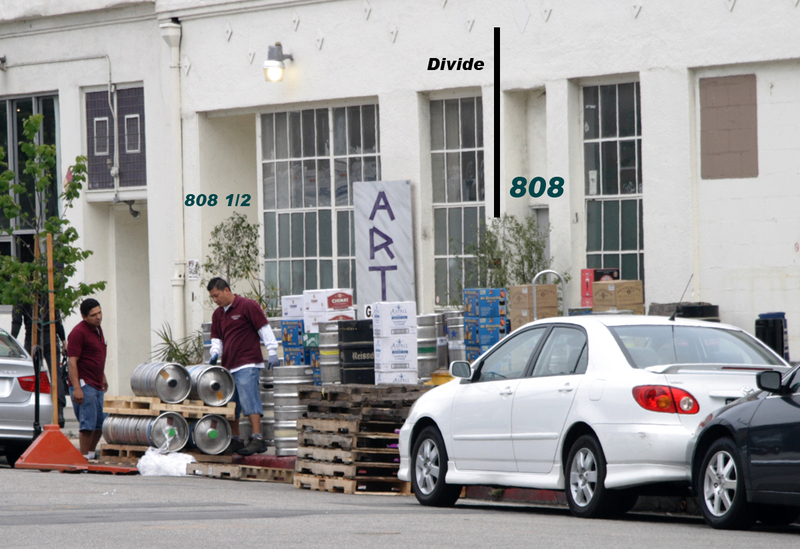 The Los Angeles Department of Building and Safety ordered both Paul Solomon and Wurstkuche to turn 808 E. 3rd St. back into an actual artist in residence and were cited for the current illegal use as a warehouse by Wurstkuche restaurant. But residence say, rather then complying with the LADBS order, with regards to the illegal use as a commercial warehouse, Paul Solomon and his management company are actually trying to take a step backwards for the arts district and despite the residential rights of the all artists that are currently living in that building. “This is like doing something illegal and then trying to get the law changed so you don’t get in trouble! It’s appalling!” says one of the resident artists. “If this happens, it’s a giant step backwards for the Arts District and the wrong thing to do to all the Artist currently living in this building.” The AIR building spans from 808 to 820 E. 3rd St. in the downtown LA Arts District.